MyBlogU is currently the pure investment project. We are building and supporting it absolutely for free making it a priority to create something useful for the community. And you can help us! We can grow together! Here are a few ways: Pick one or many! 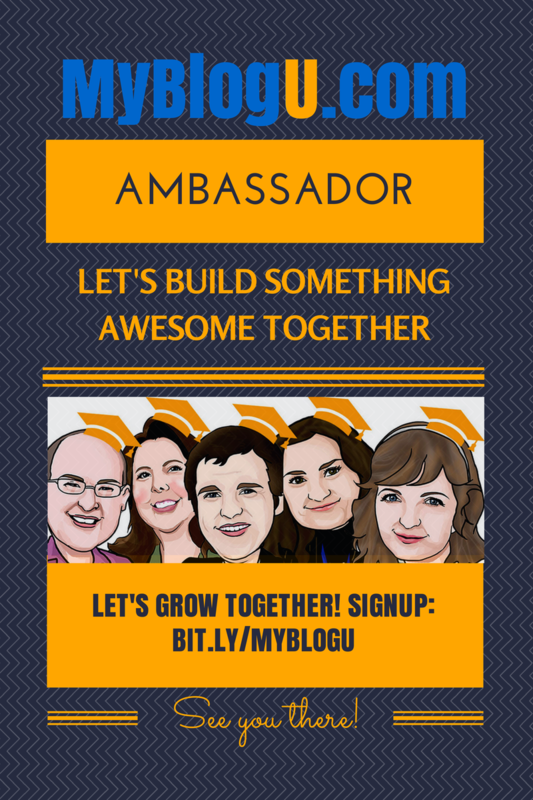 MyBlogU brand ambassadors are those people who want to hear more from us: Our new features, tests, plans, etc. They also agree to share what we have to say (and we share theirs). You get an access to a very tight and friendly group of people who never mind promoting your projects or helping out with a tip. Every Thursday 11 am EST we tweet updates from our community worth sharing. Every last week of the month we give back to our community sharing our members’ articles and accomplishments. Our Twitter chats work great for growing your Twitter following, so it’s a great connecting tool as well! Like MyBlogU on Facebook and invite friends! 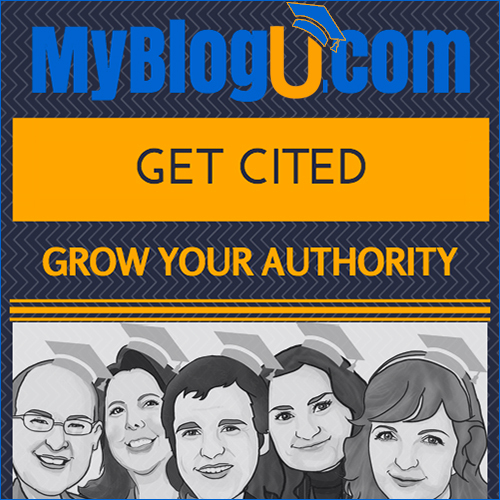 MyBlogU Udemy course gives you a good overview of our features, settings and opportunities. Plus this is our brand asset which we use to aggregate video tutorials and user reviews. It’s free and won’t take you much time to take it and spread a word by leaving a review. Our Udemy course includes very actionable lessons on how to see more results from your blogging and writing, so it has a huge educational value while being completely free! Still work in progress, MyBlogU WordPress plugin gives you access to most of our features from within your WordPress dashboard. Installing it and reviewing it will also increase its visibility in WordPress plugin search. Our WordPress plugin will increase your productivity by giving you easier access our tools. We have lots of things you can easily embed if you want to support us by linking to MyBlogU or mentioning us in a blog post. 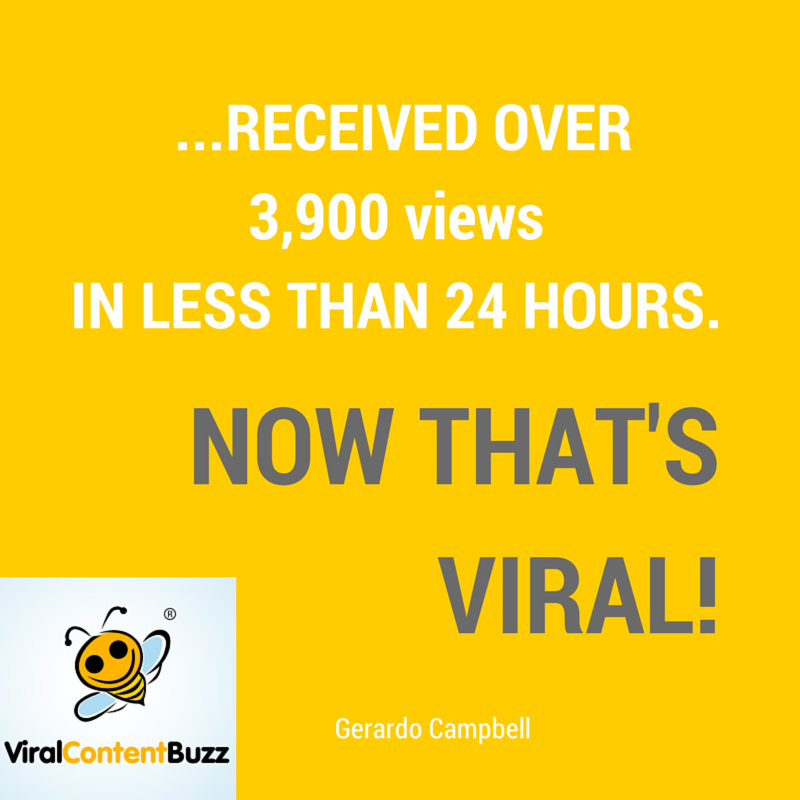 Your readers will surely thank you for sharing such a helpful tool 🙂 Plus we’ll do our best to amplify your article mentioning us on social media for you to see more traffic! I am a big believer in our challenges and how they motivate and encourage our community members to build great things. We curate what they do using this room. By signing in and retweeting some of those updates you’ll share your motivation which is so important! This way you’ll connect to our members on social media and will thus build up your following and Klout. We do have a traditional forum giving our members to get to know each other. So don’t forget to participate in the discussions to make our community stronger! As our to-do list gets easier, we’ll add a live chat or something similar to let you talk to each other in real time. Get to know people who may become your brand ambassadors, promoters, partners or friends! I start hearing some positive feedback and success stories from our members, so I am thinking to add a testimonials section one of these days. If you want to be included, please contact us. Please share them in the comments! 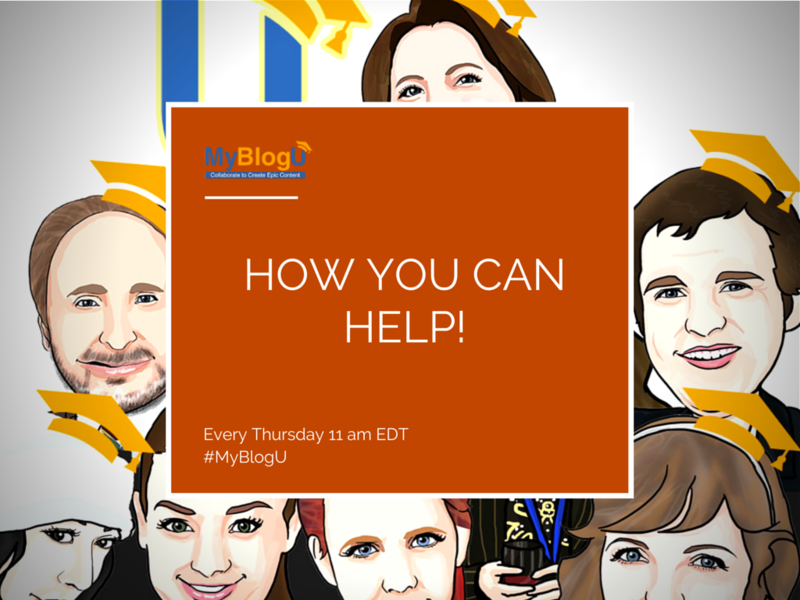 How can we help to grow MyBlogU?